Sherry FitzGerald welcomes Ponta Delgado, Crinnage, Craughwell, to the market for sale by private treaty. This is a very well presented detached bungalow with beautiful landscaped gardens within walking distance of all local amenities and services in Craughwell village. The property is located beside the local GAA training pitches, playground, and primary school. Constructed around 1998, the property offers excellent space with living room, kitchen/dining, conservatory, utility, four bedrooms with master en suite, and main bathroom. The property benefits from an extra covered decking area to the rear, perfect for al fresco dining and barbecues. It boasts lovely landscaped gardens throughout with lawn areas, flowerbeds, mature trees and plants, and a separate vegetable garden with polytunnel and fruit trees to the rear. The property benefits from detached garage and extra storage shed with wc. The BER is C1. 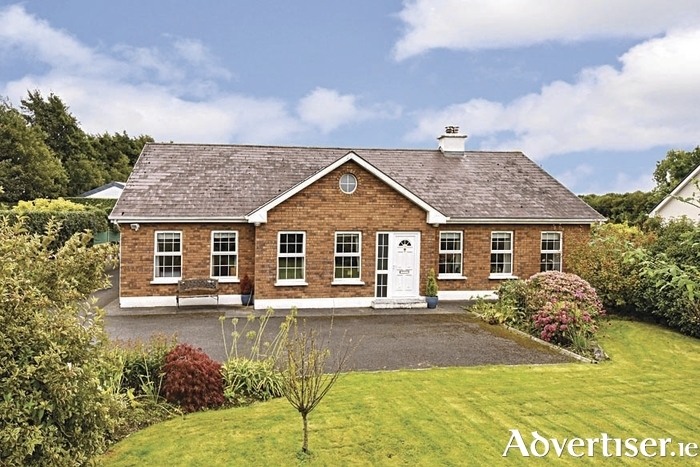 With an asking price of €285,000, this is a lovely family home in a popular location and viewing is highly recommended.